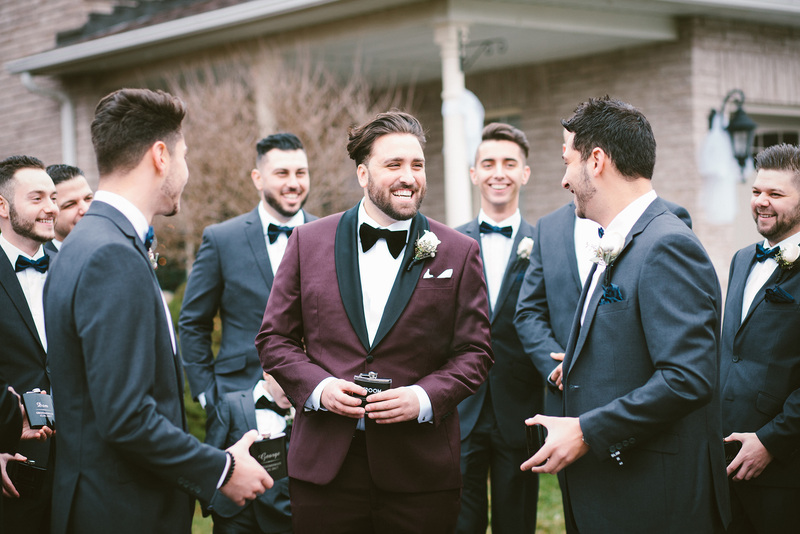 At Surmesur, we believe the groom deserves as much attention as his better half. That’s why we offer a distinctive and personalized service for the creation of your wedding attire. 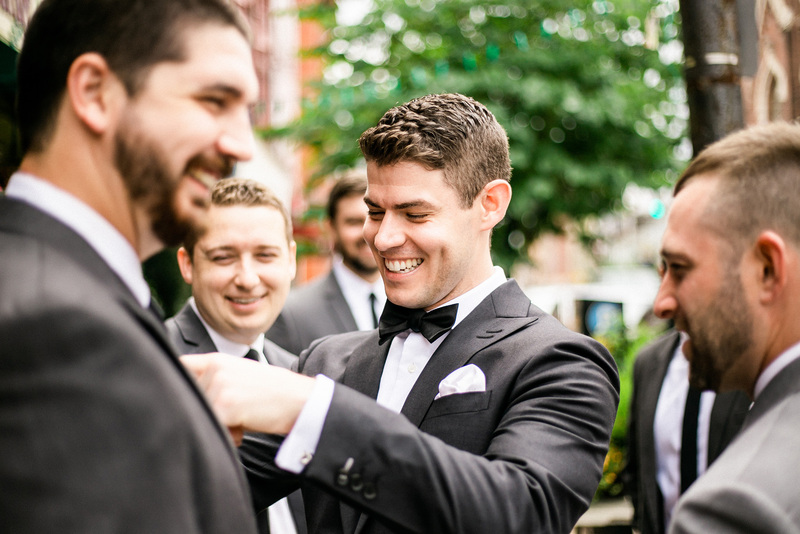 Whether you have a specific idea in mind or don’t know where to start, our Style Consultants will be pleased to take care of you throughout the design process so you can obtain the perfect look for the most important day of your life. "Hands down the best place to go for a suit. I went here with my five friends to pick out a suit for my wedding, and they were amazing. Super friendly and extremely thorough. The suits turned out amazing for all of us. I highly recommend trying out Surmesur." 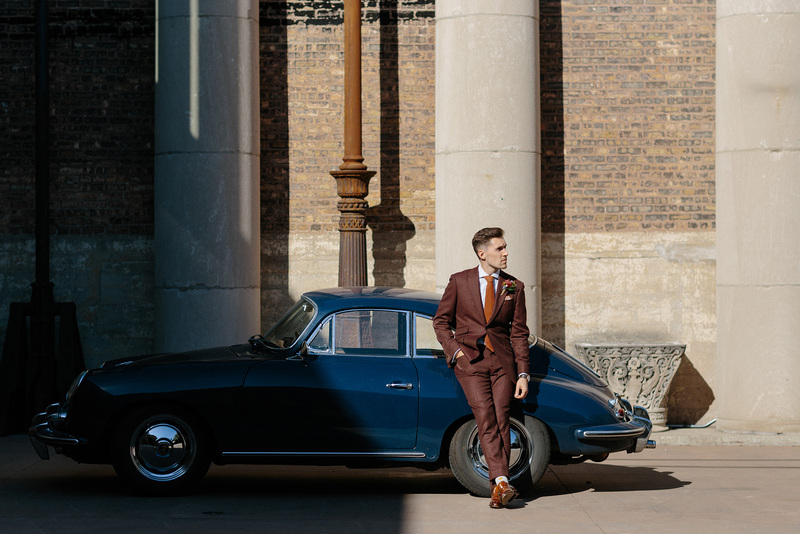 Take advantage of our free, private shopping sessions (for 4 people or more) to create the ultimate wedding look for you and your groomsmen. When you book a private shopping session, we’ll give you 10% off your total purchase. Consider it our wedding gift to you! Why rent? We offer an original concept that allows you to create unique garments according to your tastes, preferences and tailored just for you. What’s more, you’ll be able to wear your custom garments again and again! ​Quality polyester-blend fabrics. Attractive and affordable collections for those who don’t wear a suit every day. ​​Our in-house fabrics with the best quality-price ratio. An excellent investment for those who wear a suit on a regular basis. ​Fabrics from some of the world’s most renowned wool mills, including Dormeuil and Holland & Sherry. Half-canvas, choice of jacket lining and pick stitching are all included free of charge. See how some of our clients tied the knot!